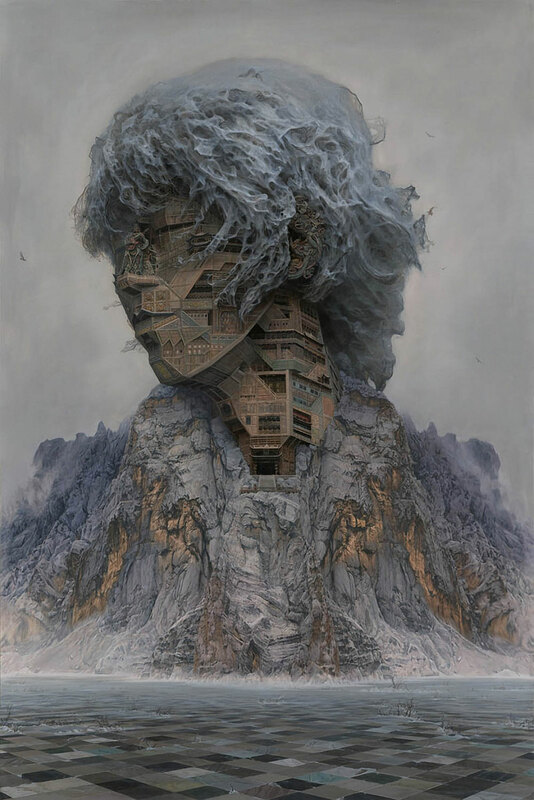 Portraits of rock musicians that appear carved out of mountains, cliffs, stones, trees and waterfalls by Beijing based artist DU Kun. 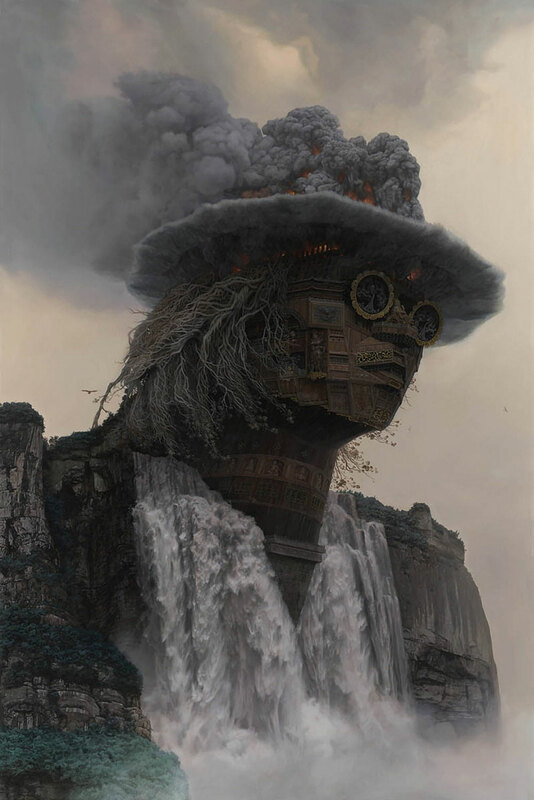 He began working on his “Gods of Rock Festival” series in 2014 based on his passion for rock music. 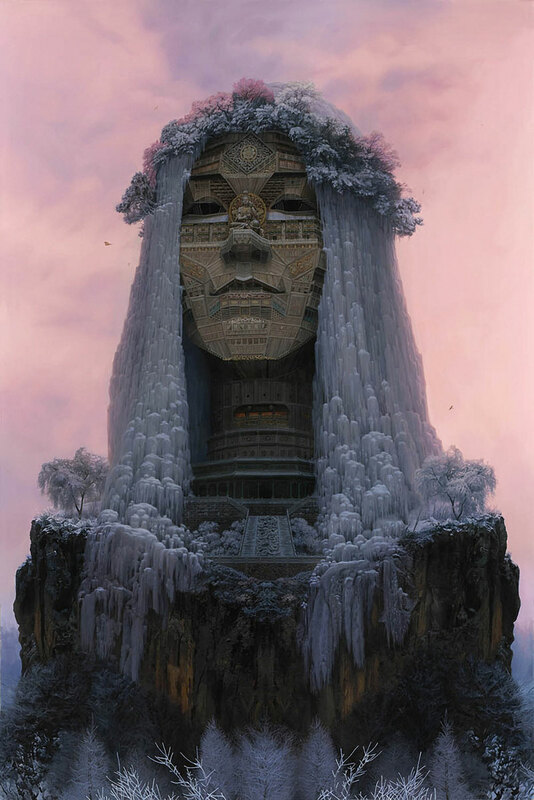 The faces of the five musicians in this series incorporates Buddhist temples, pagodas, Confucian mausoleums and other traditional Chinese architectural structures, treating his subjects as sacred lands that exists in the heart of every rock musician. 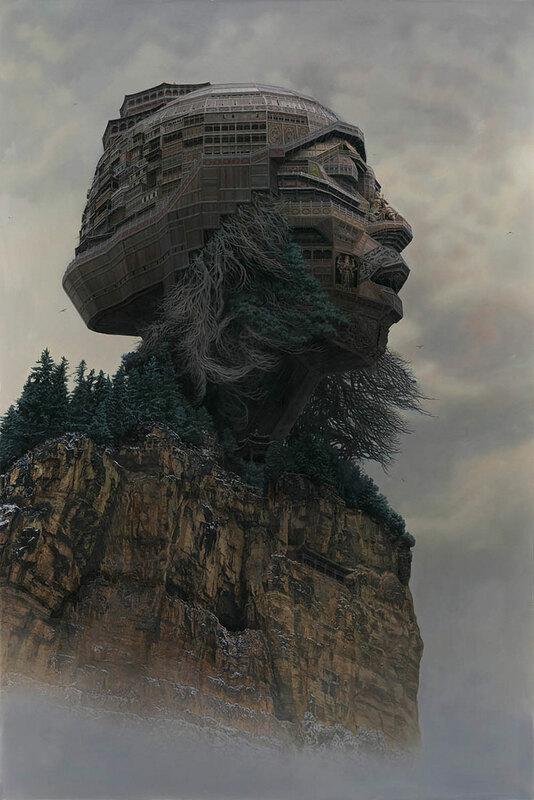 On view at Mizuma Art Gallery through Feb 13. 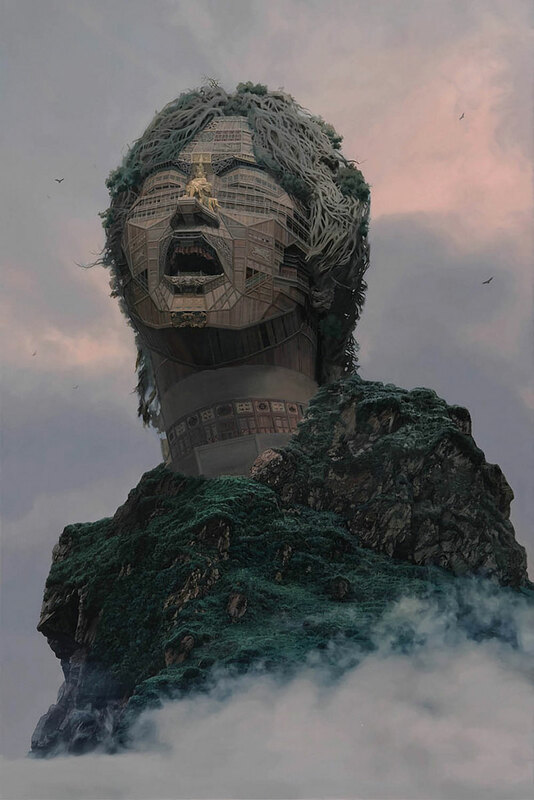 Portraits of rock musicians that appear carved out of mountains, cliffs, stones, trees and waterfalls by Beijing based artist DU Kun.